Limelight Magazine, January 2012: "Knockout playing full of excitement and tension from this Polish early music band". 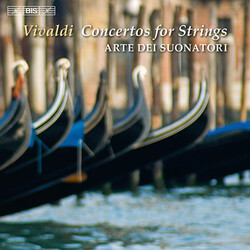 It is a familiar fact that Antonio Vivaldi was a prime mover in the creation of the solo concerto, but what is less well known is that he also was the leading exponent of the older concerto a quattro – music in four parts, with several players to a part, intended for what we nowadays would call a string orchestra with continuo. As Vivaldi expert Michael Talbot explains in his informative liner notes, these works are notable not only for their beauty, but also for their experimental character and for providing the most important examples of fugal writing in Vivaldi’s instrumental music. It is not known when Vivaldi started to write them, but most of the almost fifty concertos probably originate from the 1720s and 1730s. They are recreational music par excellence, well suited to outdoor performance in gardens, but some of them may also have been played in various churches and theatres of Venice. This recording includes eight of the concertos, as well as the Sinfonia from the serenata La Senna festeggiante (The Rejoicing Seine) composed in honour of the young French king Louis XV, and the Sonata a 4 in E flat major ‘Al Santo Sepolcro’. The acclaimed Polish period band Arte dei Suonatori have made a number of highly regarded recordings, including a version of Handel’s 12 Concerto grossi Op. 6 which the international music press greeted with enthusiasm upon its release in 2008. It was ‘Orchestral Choice of the Month’ in BBC Music Magazine, received top marks in Diapason, and was described as ‘quite simply flawless and must be considered as a model for Handel interpretations of our time’ by the reviewer in the German magazine Toccata – Alte Musik Aktuell.